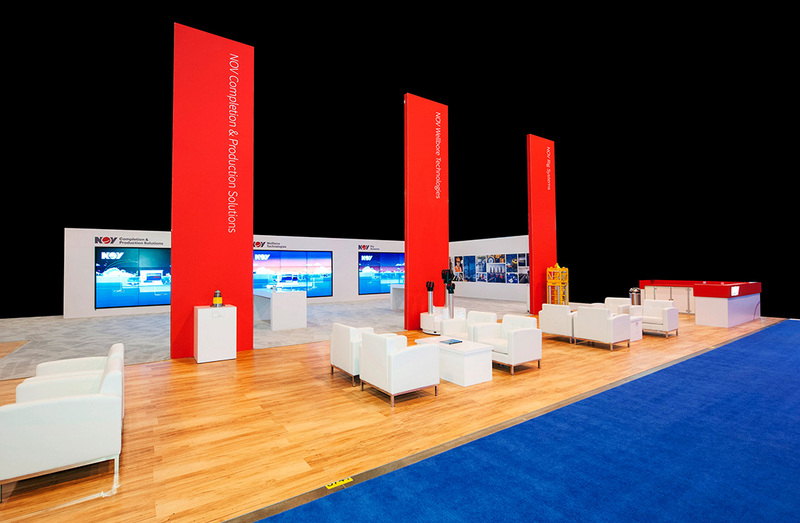 National Oilwell Varco firmly believes in the power of purposeful innovation and wanted something all-together new for the 2015 Offshore Technology Conference. 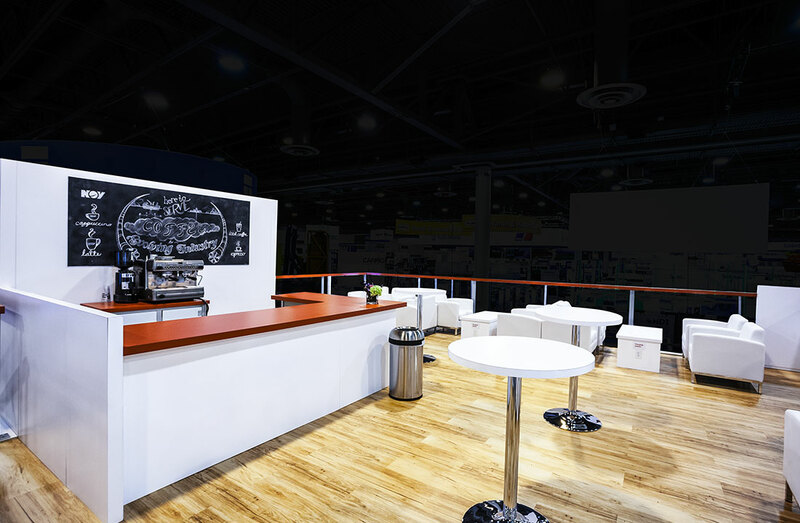 Sharply focusing on engagement and interaction, they sought a clean, sleek environment that would increase brand awareness, initiate conversations, foster relationships and generate some buzz. 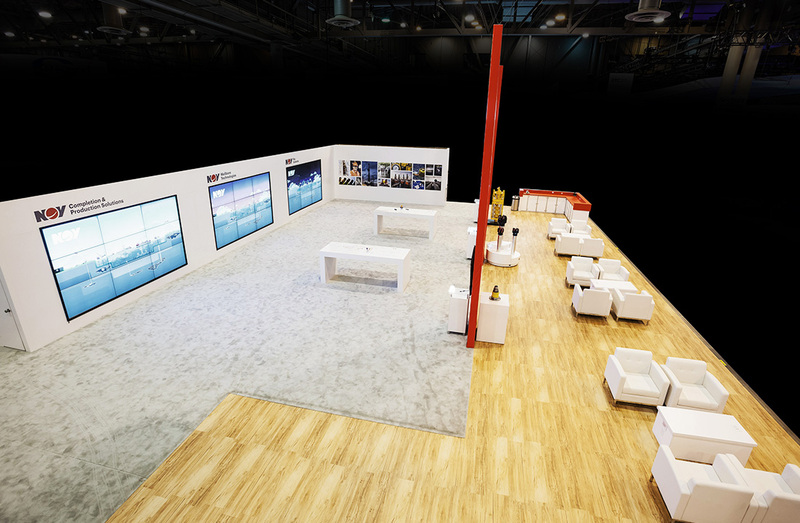 Larger than life, NOV branding and engagement takes center stage in this captivating 50' x 110' environment. 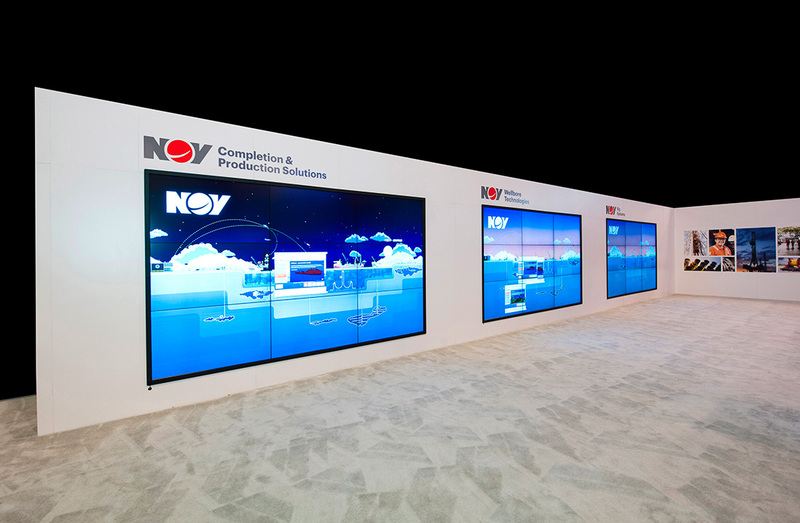 With three large interactive video mural displays each telling the complete NOV story, current and prospective customers and visitors could learn more from showcasing projects and technologies including NOV Rig Systems, NOV Wellbore Technologies, and NOV Completion & Production Solutions. 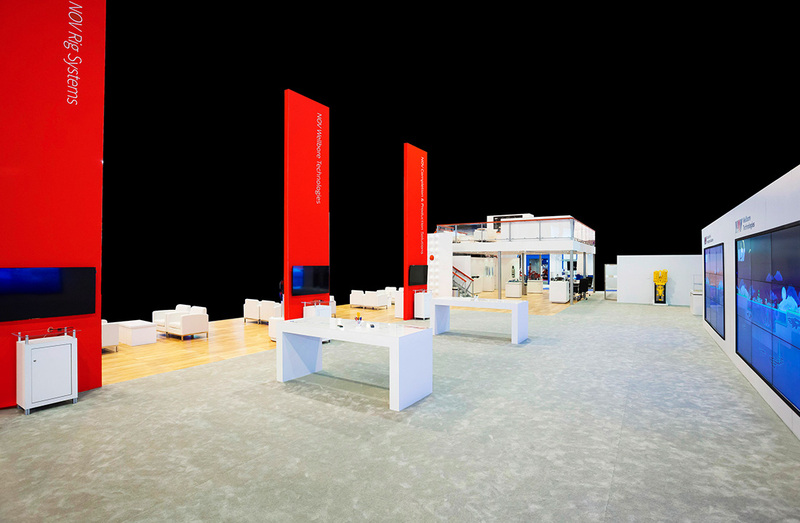 Engagement reigns supreme from as far and wide as the eye could see as visitors could walk through the technologies and see how they have helped make a difference in customer operations. From virtual tours of a drill ship to animated interesting facts hidden within, the interactive mural was a show-stopper. Showcasing NOV's technical expertise, innovative products, and proprietary research, the environment artfully reinforces NOV's position as a technology leader. Further reinforcing this sense of place and purpose, three powerful corresponding red towers seamlessly guide and direct attention and traffic flow. 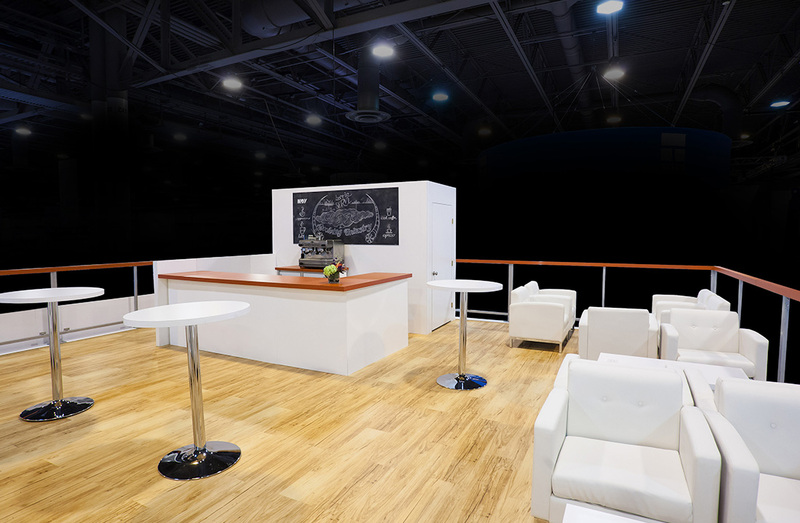 With comfortable seating arrangements strategically positioned throughout the space, visitors linger, longer, extending their conversations with the NOV team. Encouraging old-school idea generation and discussion, large whiteboard tables are strategically placed in open areas. Visitors and the NOV team could lean in, outlining their ideas and hand-drawn sketches to further foster relationships and conversation. An unconventional work of art is visible on one wall, featuring a series of 59 standard white hard hats -- all lined up in a precise, methodical pattern with one singular pop of color found in the mix. The lone NOV-red hard hat, which is a soon-to-be-released NOV prototype product, helps to tell the story of people and the importance of safety -- the NOV mark, in a sea of white. 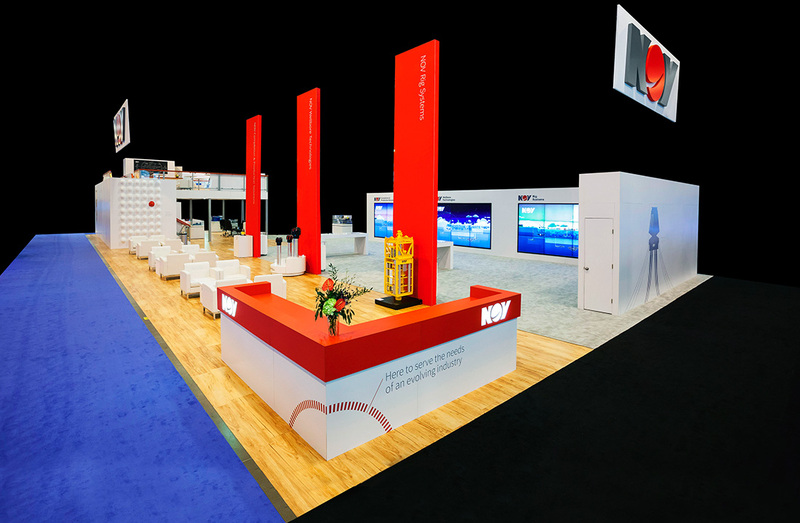 From a Zen-like feel to high-tech engagement, the NOV exhibit and environment was a vision to behold. 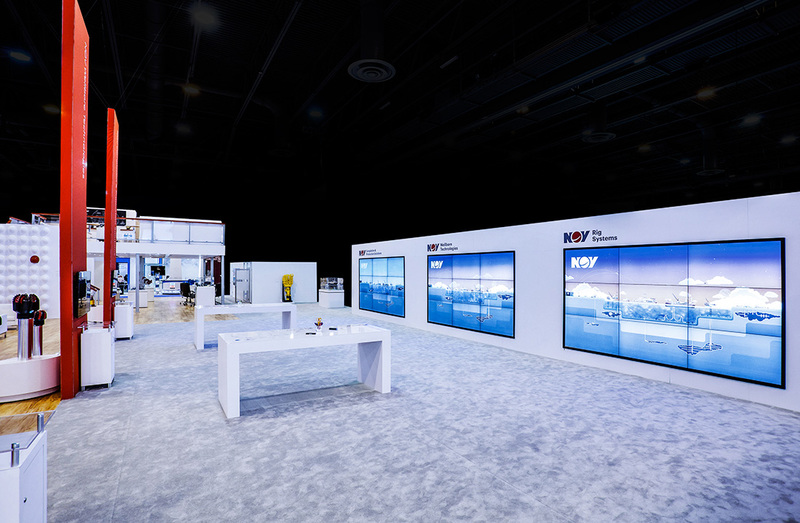 The bright white palette, interactive and hands-on displays, comfortable spots to pause and extend the conversations coupled with modern design touches infused the exhibit environment with a palpable sense of energy and excitement. Purposeful, innovative and engaging, that's NOV.